Other Nonprofit reviews by real, verified users. Find unbiased ratings on user satisfaction, features, and price based on the most reviews available anywhere. 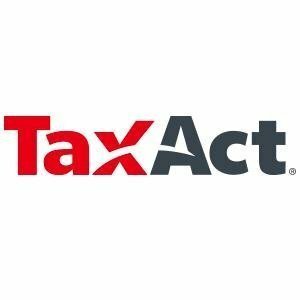 TaxAct Tax-Exempt Organization Edition allows you to prepare one return.TaxAct's depreciation reports make reviewing your current, future, and accumulated assets fast and easy. Morweb is an all-in-one website platform for nonprofits and associations. CaseWorthy is an enterprise-level case, client and nonprofit CRM tool used to manage and track client participation. CharityAdvantage is a comprehensive suite of website and fundraising management tools. Muster is an award-nominated company serving organizations who advocate. Muster's online advocacy and communications platform empowers organizations and associations to mobilize their base on legislative issues and meet their policy goals. Key features include: constituent matching, contact list management, and comprehensive advocacy analytics. The City helps everyone in your church stay engaged in daily life and ministry. Above Goal is the only capital campaign software created by experienced capital campaign consultants that is designed to help your campaign succeed. Above Goal is a simple software that allows you to seamlessly manage the details of the campaign such as your table of gifts, relevant statistics, key prospects, and your campaign committees tasks, meetings, and follow-ups. Blackbaud Outcomes empowers to track and understand the measurable impact of social investments. CharityTracker is a web-based, collaboration software. It tracks clients and cases. Users can manage and run reports easily. 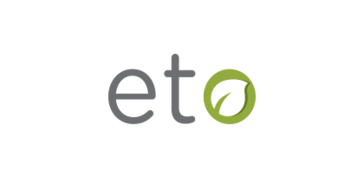 eAwards is a grants and awards management software designed to help funding agencies and research institutions in Canada. Penelope case management software is a reliable, cloud-hosted solution used by nonprofits and human service organizations around the world since 2001. Penelope is a configurable and easy-to-use system designed for a broad range of social service providers, and is trusted by national government departments, police and military services, networks of social service providers, and midsize and large nonprofits worldwide. Our software helps organizations just like yours increase efficiency and accountability, while helping to improve client communications and internal collaboration. Penelope's extensive list of features includes: automated workflows, smart forms, flexible reporting, scheduling, referral management, Email / SMS reminders, and more. WebMaestro is an add-on website service to AuctionMaestro Pro that allows unlimited users to work from any location with internet access, and gives your guests access to online RSVPs, table purchases, cash donations, and item donations. Amply simplifies the donation matching journey. Engage with donors when they are most passionate, at the time of donation. 360 is Social Solutions’ newest tool to help your organization on its path to measuring and managing outcomes. Using state-of-the-art predictive analytics, Apricot 360 helps nonprofit organizations develop programs to deliver effective, sustainable services for current and future participants. This groundbreaking technology will enable you to change more lives than ever before. Caseworker Connect is a database that helps organisations run client-centred support services, including case work, outreach and advice services. Caseworker Connect is available online from any modern browser on laptop, PC, tablet or smartphone. Data is stored here in the UK and Blue Door is Cyber Essentials PLUS accredited. Circe is a complete, easily adaptable, cloud-based platform for managing human services. cjPartner will provide the information foundation for your drug court program. Community is a web-based church management database or non-profit software that allows social interaction between members and staff, it has contact management, task manager, expense and travel manager, calendar,members/visitor management, financial reporting, customizable reports, social messenger, mass email, real-time reports, document management, the ability to post, like, follow staff or members and a real-time dashboard. Good-Loop delivers effective, respectful and rewarding advertising in a way that also generates charitable donations for amazing causes - for free. LifeSpots App for Nonprofits is a platform to enable organizations to post, monitor and share live information by location on the mobile phones of their supporters and people they care for. LIVEALITY works with sponsors and event directors to provide mobile access to a commemorative digital keepsake, or KEEPIX, in concert with an event, vacation destination, youth league, and so much more. Event directors and sponsors provide something unique to consumers a branded and personalized digital photo book that covers the entire event or activity and features each participant's photo on the cover. The app allows consumers to upload their own photos and share the KEEPIX on social media. MCNC is a technology non-profit that builds, owns, and operates a leading-edge broadband infrastructure for research, education, etc. 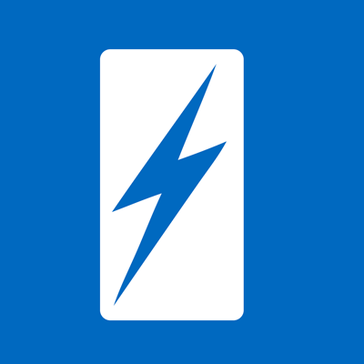 The MPOWR Case Management solution will soon be renamed to "MPOWR Engage." MPOWR collaborative case management browser-based tools enable all service providers to safely share client information to eliminate isolation and increase effectiveness, while protecting individual privacy. The unique MPOWR methodology focuses on all participant life goals as a central component of the case management process. Working together on a common goal plan then empowers multiple disparate organizations to work seamlessly together helping the individuals and families they serve to achieve life success. Provides nonprofits & schools w/ fundraising software and event management tools for walk-a-thons, golf tournaments, School Fun Runs & P2P events. Cutting-edge technology. Intuitive interfaces. All these come standard with North Lights Resource House software suite. One Church is a modern church management system powered by the cloud and designed to help your ministry go further. We provide industry leading online tools and experience to help you succeed. PartnerHR is easy to use, cloud-based HR software designed specifically for nonprofits. Pie for Providers uses technology to help child care providers build stronger businesses. Pie for Providers helps child care providers increase their incomes and spend less time on administration. It also reduces the risk of accepting government subsidies, enabling providers to serve the families who need them most. qCheck gives you the power to process any credit card for any amount without the barriers of signatures or bulky terminals. Softgiving, Inc., headquartered in Atlanta, Georgia, creates alternative, recurring fundraising solutions for nonprofits of all sizes. By designing innovative fundraising technology, Softgiving enhances the relationship between nonprofits and their donors by revolutionizing the way people can give. Softgiving solutions enable nonprofits to expand their donor base while increasing retention and engagement through donation solutions that better fit their supporters lifestyle. A passive donation is made to a donors favorite nonprofit effortlessly through their preferred Softgiving solution. Charitable giving is made simple, easy and secure with Softgiving, Inc.
Ashdown Technologies' Symposia is specifically designed to provide online meeting and membership management capabilities for organizations and assocations. Text2Bid Mobile Bidding is a full featured mobile bidding for any budget, It allows bidders use any mobile phone to place bids, and AuctionMaestro Pro downloads the winning bids for instant statements. Hi there! Can I help you find the best Other Nonprofit solutions?